First Choice Collision is a one of a kind, state of the art facility, our modern equipment capable of accommodating everything from small car to semi tractor trailer RV’s and bus repairs. We are an established collision repair facility in Red Deer, Alberta. First Choice Collision is locally owned and operated since 1988. We take pride in the relationships and trust we have established with our customers & community for the past 30 + years. At First Choice Collision our main focus is customer service and having the highest quality of collision repair available in our community. With the diversity of our shop we are challenged to be forward thinkers and always use the most up to date and modern technology. Our facility is 33,000 sq.ft., accommodating everything from a small car and pick ups to hi-way trucks, motor homes and RV’s. While our business is ran under one company name “First Choice Collision,” there are two distinct sides to it; an auto and light duty division and a heavy duty division. Each division has its own space, equipment, spraying facilities, as well it’s own management and technician teams. With the diversity of our shop it offers our customers a wide variety of options for their collision & paint needs. We are equipped with four paint booths varying in size to accommodate big or small projects. First Choice Collision has 28 highly trained staff, which include 18 certified journeymen to professionally assist our customers with their auto body needs. Our shop is a OEM “Certified Repair Facility” which provides us the ability to repair the most complex of vehicles designed in today’s market. We are also an “I-Car Gold” trained facility giving us the latest up to date training that is required in today’s collision world. Having the training and equipment in place allows us to complete a factory like repair with ease and are able to provide a wonderful warranty package that we 100% standby. We are very loyal and dedicated business that has formed lifelong relationships over the past 30+ years here at First Choice Collision. The job they did on my truck was awesome! They didn’t just fix it, they handled it with care as if it’s their own. The Guys are very professional, straight forward and honest. I highly recommend them to all who need a little bit or a lot of tlc for their vehicles. Been taking my vehicles to first choice for years now and every time I get them back I am impressed on the work that is done. The staff is always very friendly and very accommodating . Even had the owner meet at the shop after hours to take care of us after hitting a deer. I trust no one else. Had very good experience with my vehicle repairs. Highly recommend. The ONLY place I will go when my vehicle needs some TLC. I always know I can count on First Choice Collision to take great care of my vehicle! The amazing staff is always going above and beyond to make sure you get the best customer experience out there! Thank you first choice collision!! I thought I had lost my car forever! They fixed it up, shined it up and even vacuumed the inside! I am super impressed! 10/10! Last year I took my vehicle in to First Choice due to extensive hail damage. Their staff was extremely friendly and helpful. I would definitely recommend First Choice to anyone looking for an excellent repair shop. Client care is very personal. Repairs and paint make the vehicle look like new! Best work ever you can ask for. Great friendly people, Owner is so friendly, never met a great person like him. Definitely highly recommend. You guys are awesome, truly liked your service best in town, before I came to First Choice, I went few place but service was not even welcoming, as soon as I enter first choice felt like came to right place. 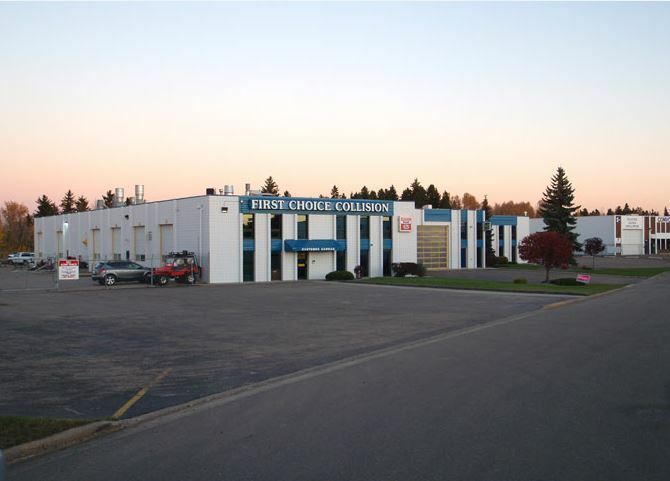 Our family has used First Choice in Red Deer for years. We have received nothing but great service. It’s a relief knowing you can always rely on a company time and time again. Especially when it comes to getting your vehicle repaired from a collision. Great service and even better people. I would recommend them to everyone.